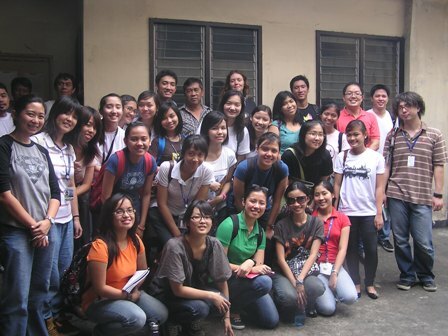 The Labor Education and Research Network led the Community Development and Change Management students from the Ateneo De Manila University on an exposure activity held on August 19, 2010. The exposure trip started with a short briefing and introduction to LEARN as an alternative educational institution for workers. 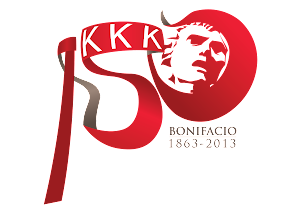 Afterwards, the students were brought to the Nation Paper Products & Printing Corporation (NAPPCO), a paper-manufacturing and printing corporation, where most of the exposure to trade union work and working conditions was done. This entry was posted in news on August 21, 2010 by mabini. 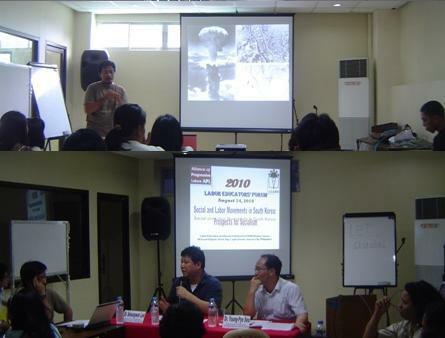 The Alliance of Progressive Labor (APL) in cooperation with the Labor Education and Research Network convened the Labor Educators’ Forum in a roundtable discussion on August 14, 2010 at the LEARN Workers’ House, Quezon City. Under a broad theme of democratization in Asia, the event tackled the proliferation of nuclear weapons in the Asian region: prospects for peace in the Korean Peninsula and the role of labor and social movements in the region. APL Deputy Secretary-General, Edwin Bustillos, discussed the proliferation nuclear weapons and the role of social movements to prevent an outbreak of another war, especially a nuclear one. This was followed by a round-table discussion with South Korean resource speakers namely: Dr. Seoungwon Lee and Young-Pyo Seo, both research professors at the Democracy and Social Movements Institute (DaSMI), Sungkonghoe University. The speakers talked about the contemporary political economy of South Korea, its continuing conflict in the Korean Peninsula, and the role of labor and social movements towards democratization in South Korea. The speakers highlighted the South Korean social movements’ struggle for genuine socio-political progress amidst the strong neo-liberal economic set-up. The roundtable discussion was organized by the LEARN Research Unit in cooperation with APL and the Labor Educators’ Forum (LEF). The LEF is a network of labor educators convened by LEARN and APL since 2006. LEF generally organizes quarterly discussions tackling labor, economic and political issues affecting workers at the national and international levels. The Labor Education and Research Network (LEARN) and Alliance of Progressive Labor (APL) received the Chairperson of the Olof Palme International Center’s Board of Directors Ms. Lena Hjelm-Wallén in a short solidarity program at the LEARN Workers’ House in Quezon City, Tuesday July 6, 2010. Wallén served as a Deputy Prime Minister of the Swedish Parliament and had occupied several cabinet positions. Her visit to the Philippines as an OPIC official is a result of the strong and long-standing international linkages between OPIC and LEARN and APL over the years. During the meeting, LEARN and APL staff had the chance to introduce themselves to the guest while Secretary-General Josua Mata gave a short discussion on the labor, economic and political situations in the country. Migration issues were also tackled on which Wallén listened attentively on the plight of OFWs. Wallén is expected to visit other areas in the Philippines to see the development of the different projects that OPIC supported through the years in cooperation with LEARN and APL.